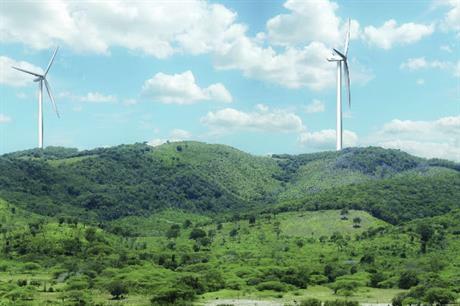 DOMINICAN REPUBLIC: World Bank Group member, the International Finance Corporation (IFC), has arranged an $80 million financing package for a 50MW wind farm in the Dominican Republic. The package will meet just under a third of construction, operation and grid connection costs of the $130 million Parques Eólicos del Caribe (Pecasa) site, which will be located on the country’s northern coast, about 260km northwest of the capital Santo Dominigo. Pecasa will sell all of its energy output to the government-owned power company, Corporación Dominicana de Empresas Eléctricas Estatales (CDEEE), through a 20-year power purchase agreement (PPA). The $80 million finance package comprises $18.5 million from the IFC, $18 million from the Dutch Development Bank (FMO), $17 million from the IFC-Canadian government’s Climate Change Program, $15 million from French development financiers Proparco, and $11.5 million from the German Investment Corporation. Pecasa will comprise 25 of Siemens Gamesa’s G114-2.0MW turbines, and is expected to become operational in the first half of 2019. It will help diversify the Dominican Republic’s energy mix and ease its dependence on imported fossil fuels, project owners Akuo Energy stated. Fuel imports account for nearly 80% of the country’s energy needs, the developer added. The country has 134.9MW of operational wind farms, according to Windpower Intelligence, the research and data division of Windpower Monthly. The Dominican Republic is vulnerable to many of the environmental impacts associated with climate change, including rising sea levels coral bleaching and changes in the frequency of tropical storm. It has set a target to cut its 2010 greenhouse gas emissions by 25% by 2030.